The secret to the creative genius is revealed! Being a genius is the realized possibility of living fully by one’s inner resources (from the heart) and bringing these out in a tangible form (through the head). It is the perfect combination between spirituality and science. When both dimensions and qualities come together as one, a genius is produced. It has always been one of our greatest desires to reach the state of genius. It is the greatest dream of mankind, and the intense longing for it has followed us throughout history. The great geniuses we know seem so far above us that they appear almost impossible to reach. We look upon such people as divinely gifted and endowed with what appear to be supernatural powers. How is it possible to reach this state, upon which our greatest achievements have been built? 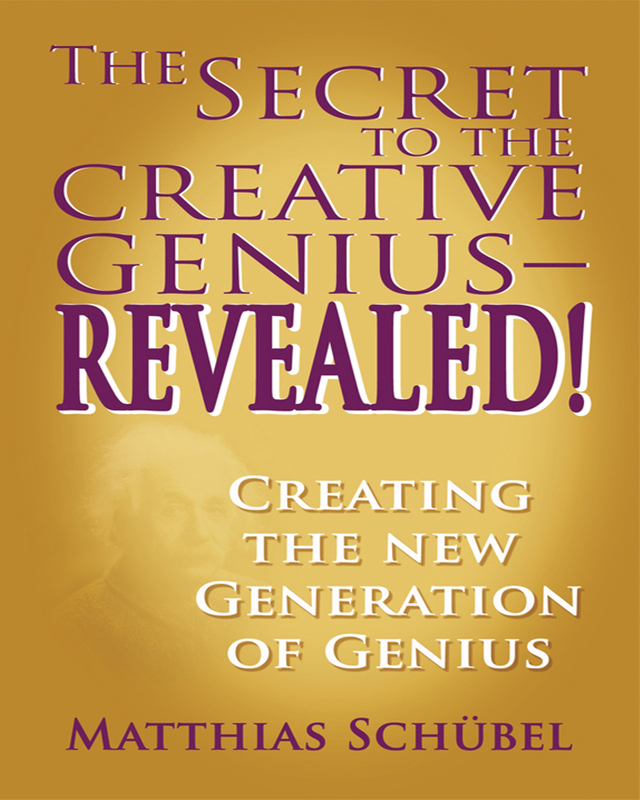 The Secret to the Creative Genius Revealed answers this question as it reveals the true secret to the creative genius. It tells the principle (“The Genius Factor”) by which all great geniuses have worked. Through this book, we can all tap into our genius potential. The whole process falls into the realm of outer science meeting inner science. In other words, once we live by our true nature and original intent of being whole and complete, integrating material and spiritual life, we are genius. Keywords:-Genius, Quantum Leap, Creation, Transformation, New Consciousness, Personal Growth.